The student government at the University of Maryland voted to create a permanent position for a coordinator for illegal immigrant students. They get blamed for a lot but do they get credit where it’s due? Well, it’s not an SAT standing or an NCAA berth but it’s a rating. 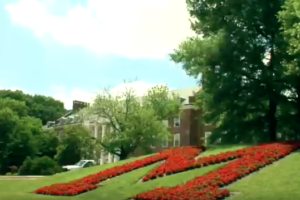 University of Maryland students were unhappy after the administration rejected ban on hate symbols, when the administration cited First Amendment protections for their decision. A professor at the University of Maryland is suing President Donald Trump because the president blocked the professor on Twitter. Ironic: A socialist food collective at the University of Maryland-College Park is seeking donations to stay afloat. A discarded piece of plastic wrap was reported as a “possible hate bias incident” at the University of Maryland because it may resemble a noose. A Chinese exchange student was criticized over her remarks of how America’s “fresh air” was liberating, compared to her home country of China. A black student at Bowie State University was stabbed to death while visiting the campus of the University of Maryland, and the police arrested a white student who is an alleged member of an online hate group.